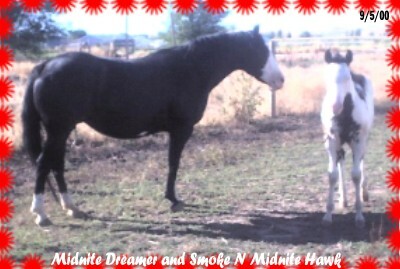 Hawk has 135 registered foals and producing 77% color on solid colored mares and 98% on paint mares. 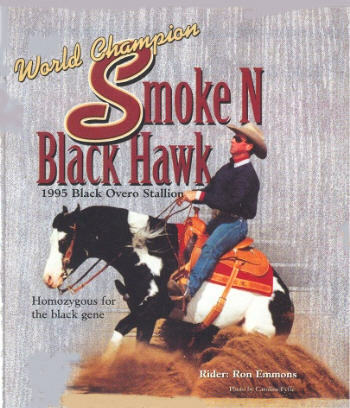 Smoke N Midnite Hawk is the ONLY Black Overo stallion (in the entire state of Nevada) that not only has "Cowhorse" breeding (World Champions, APHA Show record, NRHA, NRCHA, etc) but he also has an Excellent Show Record himself. Several Reined Cowhorse Futurities and APHA Shows. High School Rodeo, Barrel Racing and Working Cowhorse! And then $500.00 at time of Service and Balance of $500.00 When the foal is born. 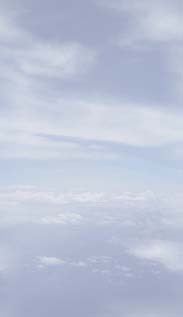 6 World/Reserve World Performance Championships. 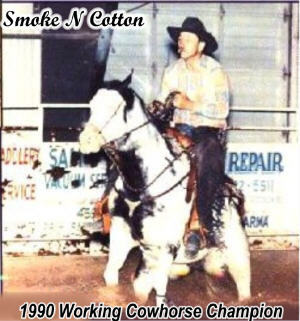 * 1999 APHA World Champion in Heeling. To her credit she earned APHA points in: Halter and performance. 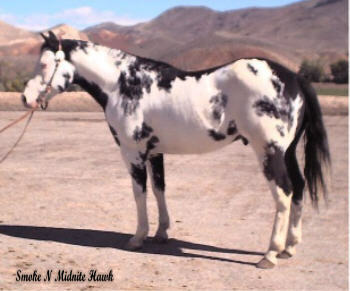 Smoke N Cotton, 1986 APHA Black Overo Stallion. 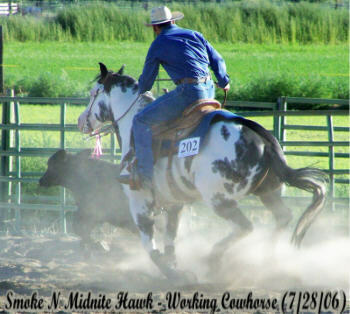 * Cutting * Reining and * Working Cowhorse. 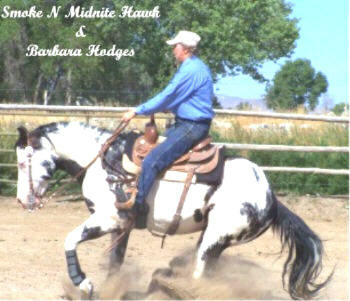 Cutting, Reining and Working Cowhorse.